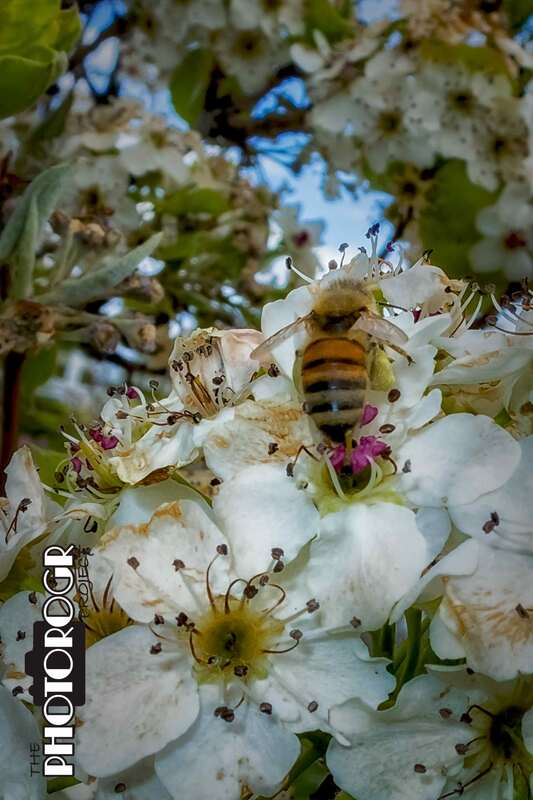 Today’s PS Challenge image is a Bee on one of the Chanticleer Pear trees in my backyard. The lengthy winter (and cool temps) is taking its toll on the beautiful blossoms, and there were only a couple Bees flying around the trees yesterday afternoon – I feel lucky to have captured this one. More winter coming our way in the next few days. Very nice. Looks like he had plenty to eat (or make honey).